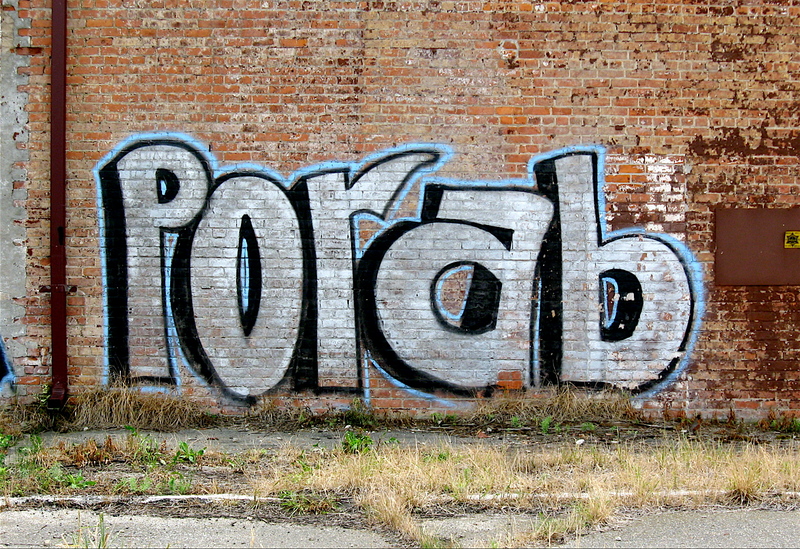 Over the past few weeks I’ve written a series of entries on the variety of graffiti found throughout the city of Detroit. In part one I described the environment where it can be found, which included the interior of abandoned buildings, the underside of overpasses and many other locations. In part two I presented an array of highly detailed caricatures and distinct images, some quite large and colorful. The third in the series focused on the many artfully designed names and letter styles used to create the writer’s name. In this entry, the fourth in the series on Detroit graffiti, I’ll be spotlighting written messages I’ve come across while bicycling throughout the city. 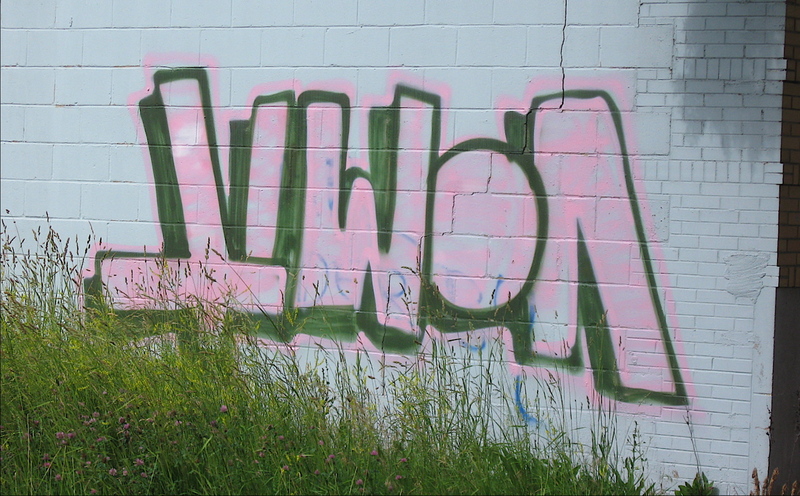 I believe that all graffiti has a message, no matter how obscure the image or words may be. The message could be political in nature, conveyed through a simple or multifaceted image or tag line. A stylized signature may tell viewers “Hey, I was here”. 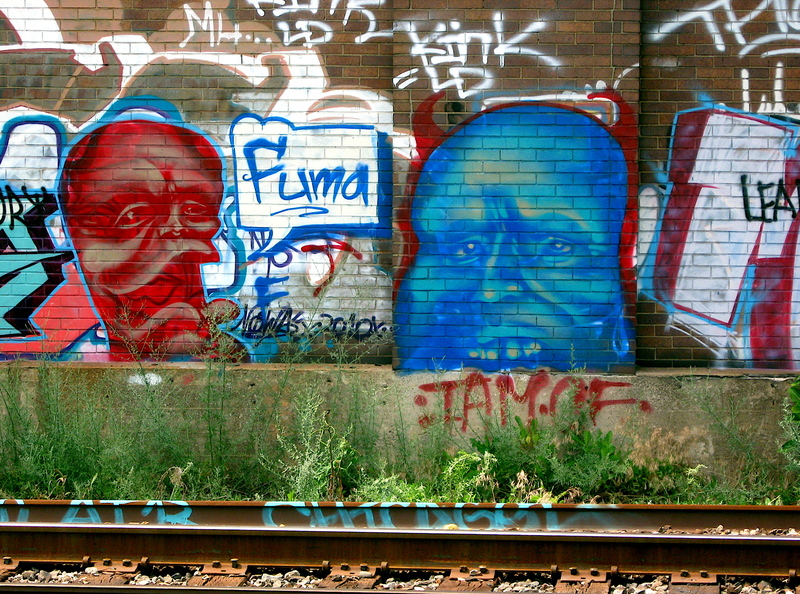 A one-color, unique moniker may not represent anything more than the creator’s need for attention, and the creator’s tag sprayed on the side of a railroad car could travel across the country to be seen by millions. Some images may be written on a wall for nothing more than to create mystique or debate of its origin and meaning. Others could be simply sprayed words of wisdom or random musings of a street prophet scrawled from the tip of a sharpie onto the side of a boarded structure. 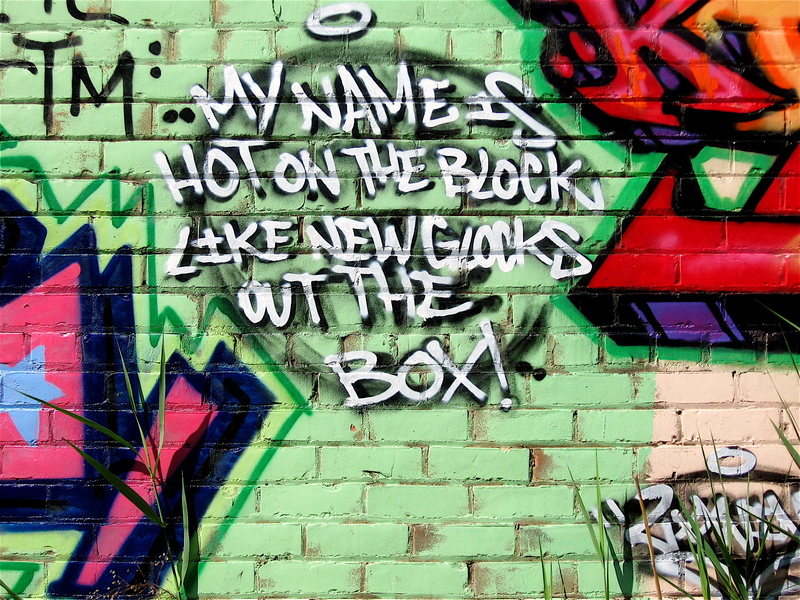 Not all the messages I’ve spotted in my travels were created in traditional style graffiti, which incorporates multi-colors, flowing letters and well-defined graphic elements. Although those fluid styles are easily found, most of what I’ve seen appeared to be hastily sprayed painted messages on a variety of surfaces from abandoned storefronts to utility boxes. I have also noticed quite a few graffiti decals and stickers on traffic signs, bus shelters and other high-traffic areas. This fairly simple, common form of tagging, (made somewhat popular by the Obey sticker campaign) makes it easy for a writer to spread their message quickly and far. Some writers have sketched a design or scribbled messages onto plain adhesive labels that could have been purchased at the local office supply store, and quickly slapped them up. Certain messages I’ve seen can be tough to understand, while others are clear, concise and meaningful. 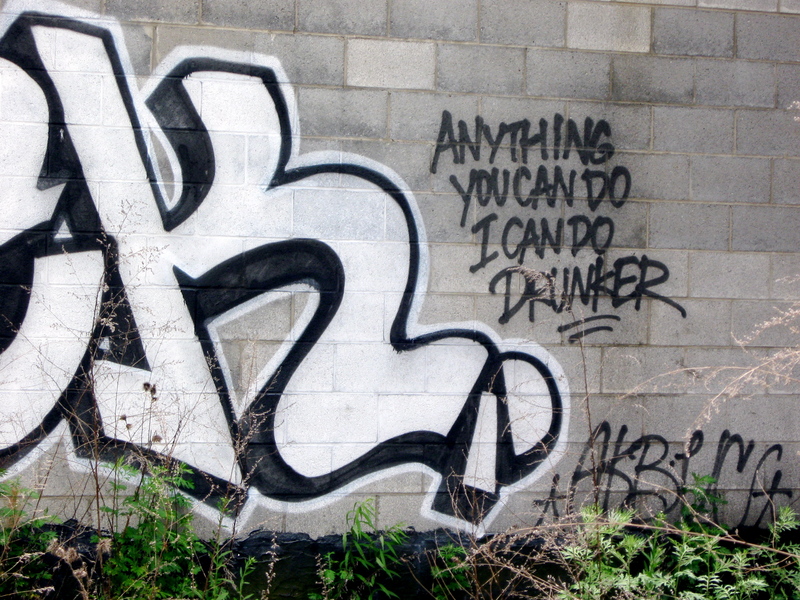 Take a look at a few of the many graffiti messages I’ve spotted while cycling in Detroit. Reminder – click on any image to view larger. 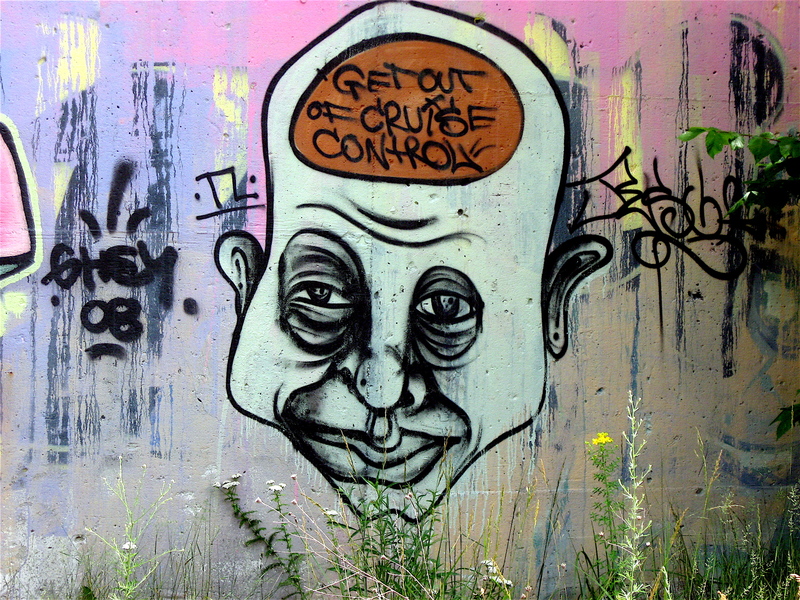 In part one of this series on graffiti art in Detroit, I pointed out that the city has an incredible variety of stunning street art pieces on every imaginable surface from buildings to bridges. 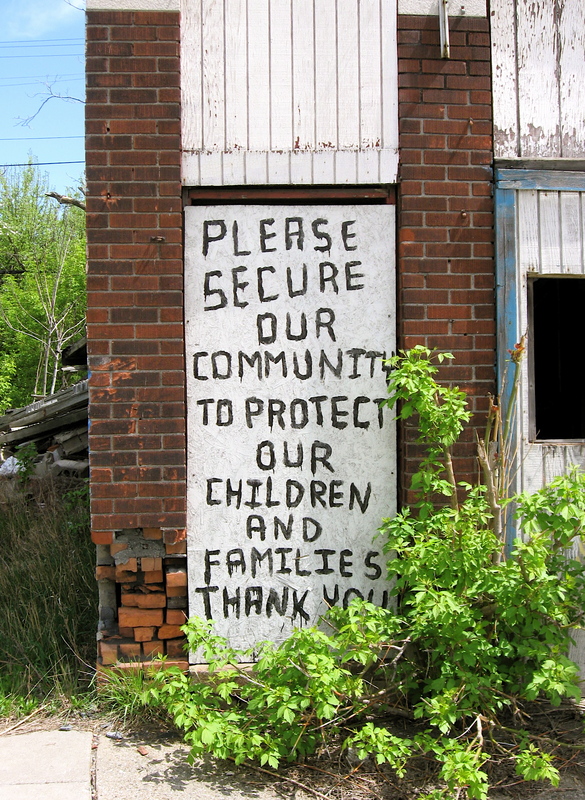 I also described many of the places where these fantastic wall writings can be found. 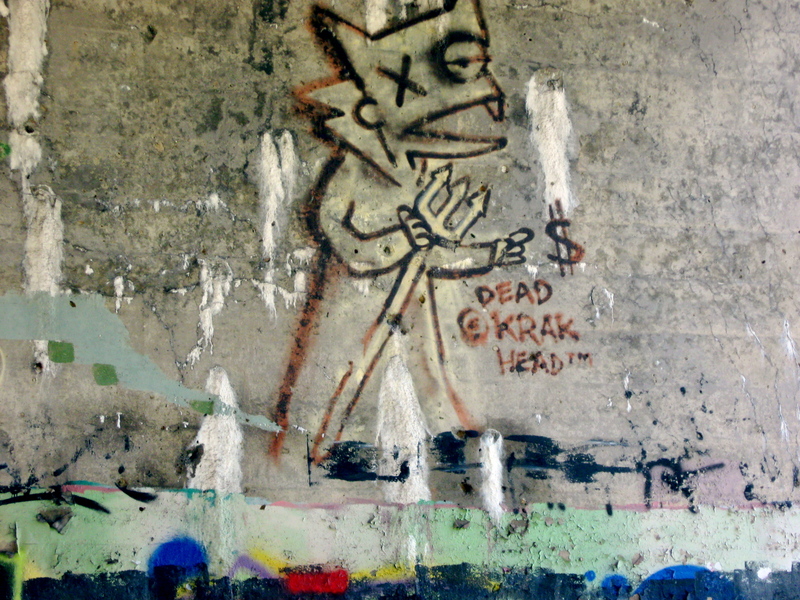 In the second part of this series, I focused on the array of interesting design elements that make up many of the graffiti caricatures and distinct images I’ve come across while bicycling in Detroit. Some of these images include sinister, mysterious looking faces that reminded me of cartoon characters or an animated character found in an online video game. 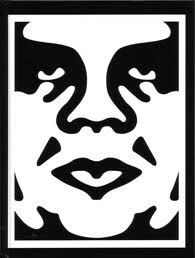 Some were simple one-color tags, while others were large, colorful caricatures, and a few were created using stencils. 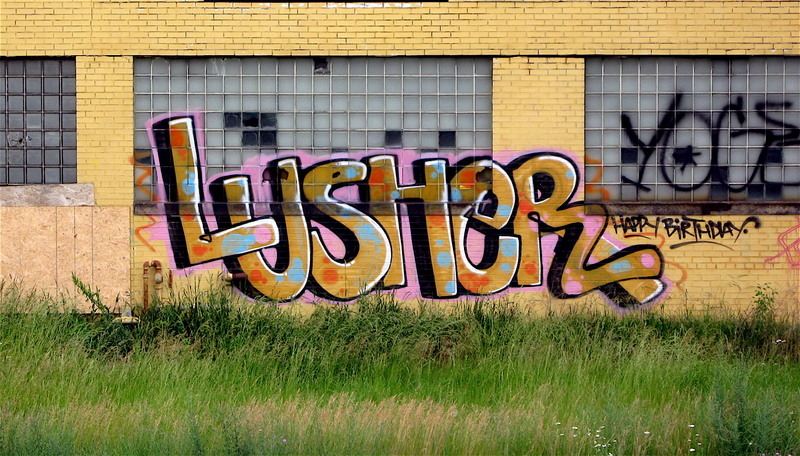 In this entry, the third in a series, I’ll be taking a look at many of the artfully designed graffiti tag names found in Detroit…names like Kosher, Paid, Yogert and many others. Unlike many of the elaborate caricatures I’ve come across, graffiti artist’s names (or logos) are more widespread and in plain view. 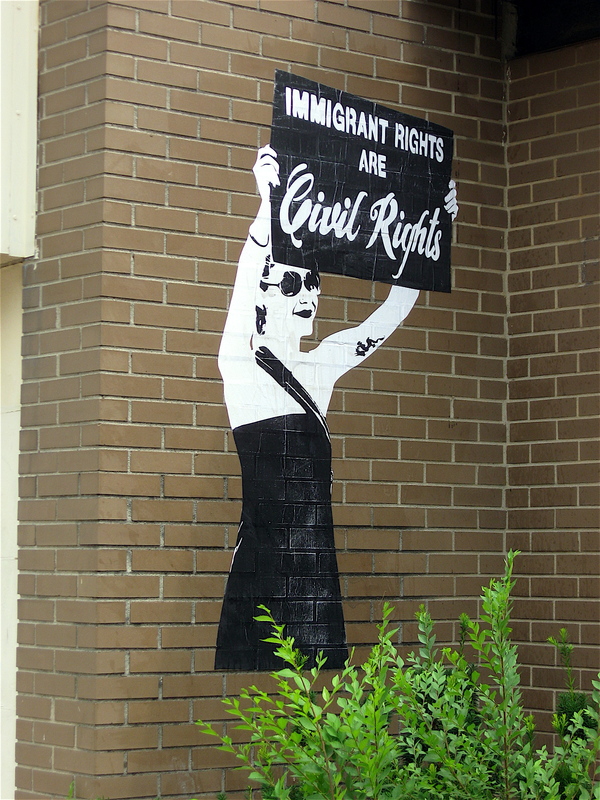 They can be found on the sides of buildings along commercial strips, in downtown Detroit near the top of multi-story buildings and other highly visible locations throughout the city. Much different from simple one-color tags, the designs incorporate a variety of wide-letter styles that take many forms. These forms may include straight block and leaning letters and letters with softer, flowing curved lines known as bubbles. These wide-lettered bubble pieces are well-defined and usually easy to read. They also provide an interior palette within the letters for the writer to enhance their name through the use of a solid or contrasting fill color. In some instances this fill color gradates from a lighter tone to a much darker one. 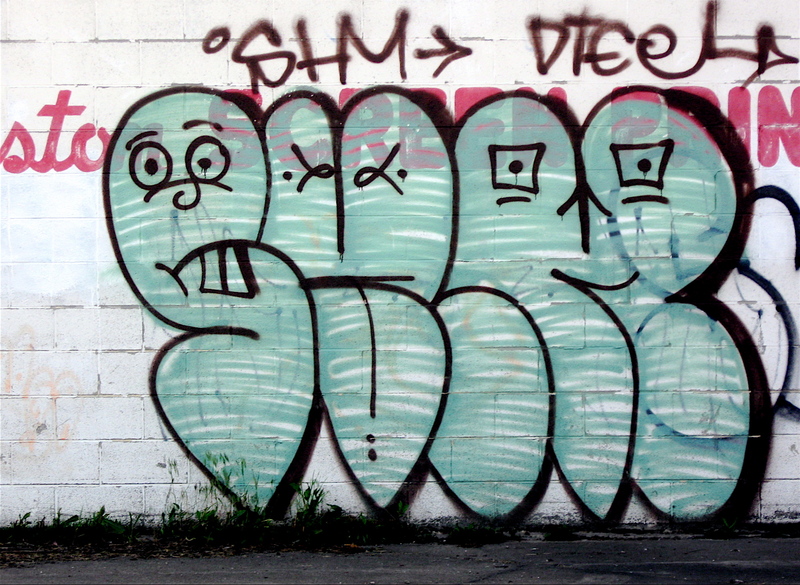 In many of the stylized names or logos I’ve spotted, the graffiti writer(s) has filled the interior of the various letters with design elements such as starbursts, dollar signs and hash (###) marks. Other graphic treatments I’ve seen within the bubbles include circles, stripes, arrows and many other subtle touches, like soft contrasting colored polka dots. Hollows or outlines without any interior letter fill are also out there. One thing I noticed about these writings and many others I’ve come across while bicycling in Detroit, are the small signatures that have been spray-painted above or below the finished pieces. As it was explained to me, those are crewmember signatures. 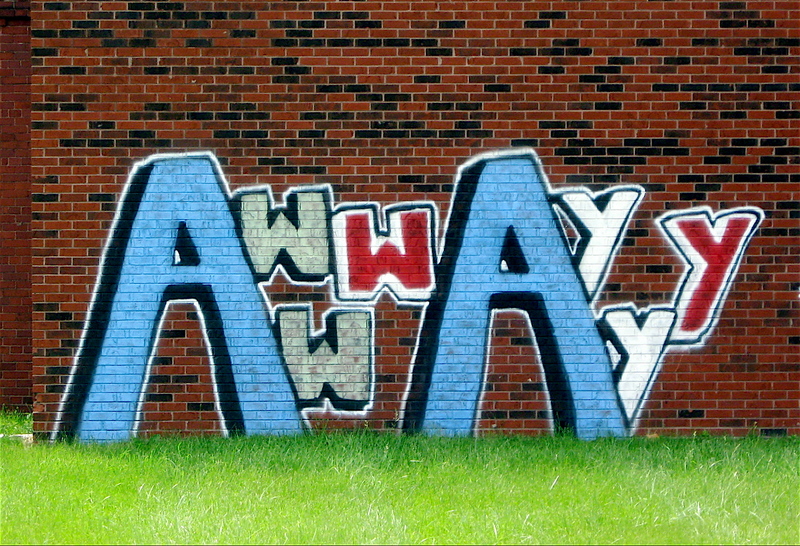 A crew is a group of friends that are interested in graffiti and want to work together on wall writings such as a large multi-colored name or large complicated piece of work. Reminder – Click on any image to view them larger. 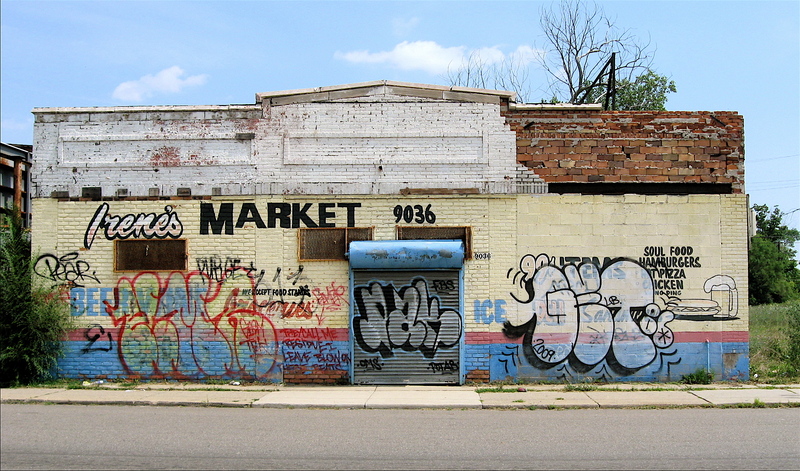 In part one of this series, I gave a brief history of modern graffiti and where I’ve spotted it while bicycling across the City of Detroit. I wrote that it could be found on just about any imaginable surface in a variety of styles and colors. Styles that include clearly identifiable images, graceful lettering, distinct messages and simple quick hitting one-color tags that some would call the most prevalent type of wall writings to be found. In this entry, the second in a series, I offer a look at some of the many caricatures and distinct images that I’ve come across on my travels. 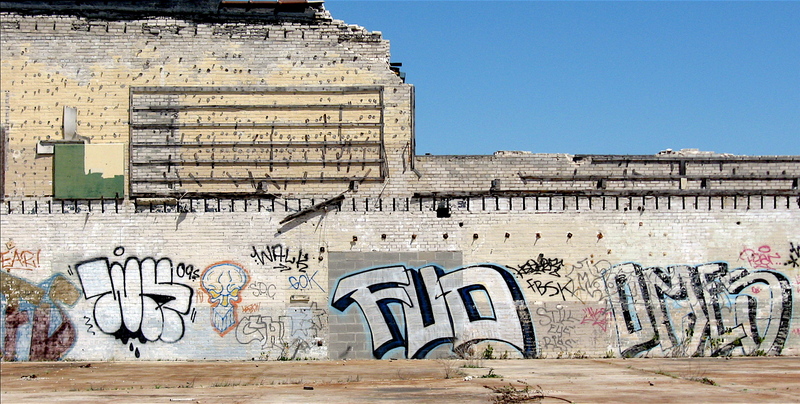 One of the most famous graffiti images over the years in Detroit has been the turtle image. As some of you may remember, this mysterious tag seemed to be-spray painted everywhere: billboards, buildings along commercial strips, freeway overpasses, delivery trucks and many other surfaces. 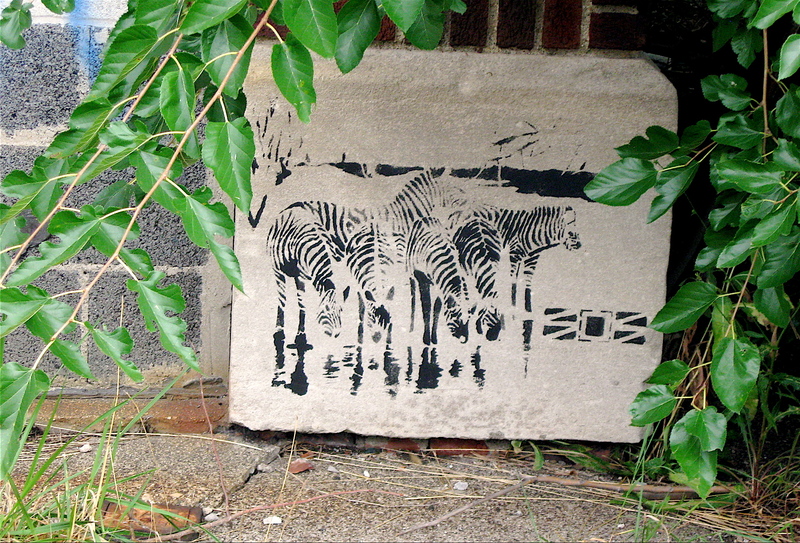 The image started appearing in the mid-to-late 1990s and spread quickly across the city through early 2000s. During that period, no one knew who created the turtle tag or its significance in the community. The Wayne County Prosecutor at that time vowed to send him or her to prison if caught. 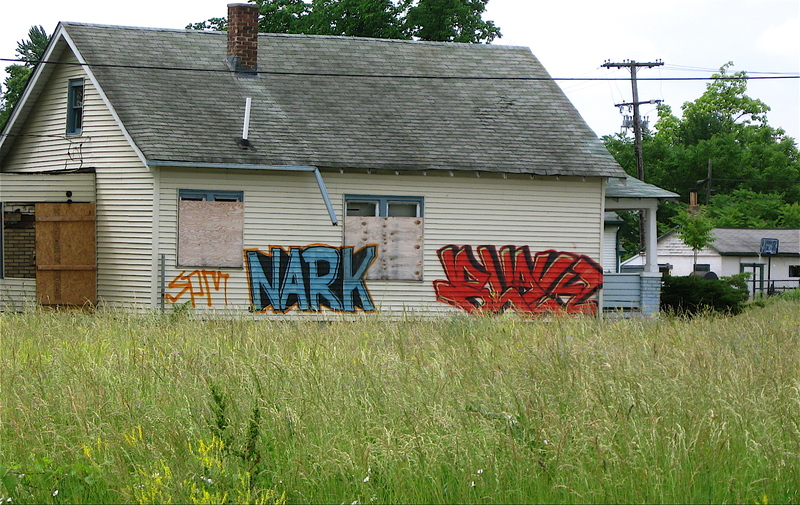 The threat drove the creator underground until he was identified in 2004 as a former Warren resident now living in Hamtramck. Because the creator of the turtle icon was never caught in the act of creating it, he was never prosecuted and has since retired from tagging. 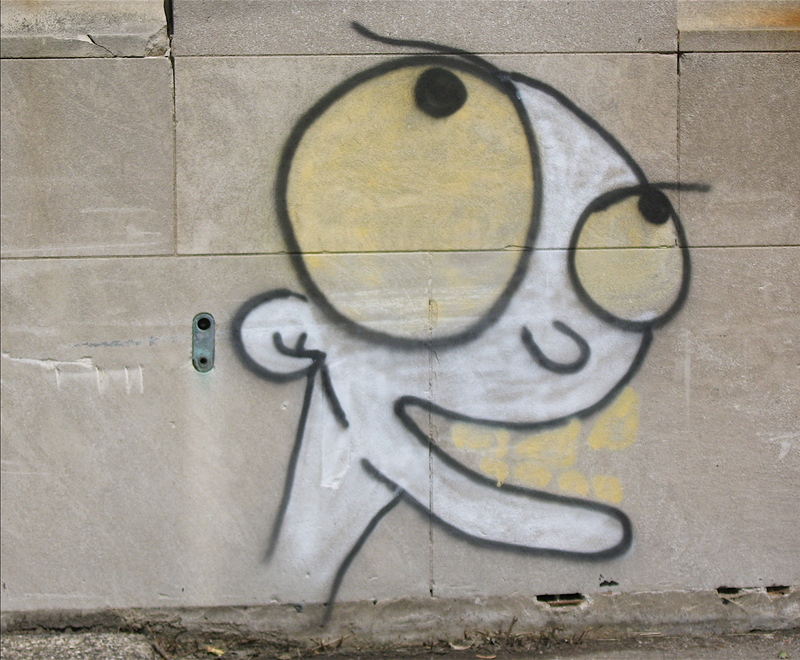 Although simply designed tags like the turtle can be found throughout most neighborhoods in Detroit, larger more elaborate caricature pieces or intricate images are not quite as widespread. In fact, they can be somewhat secluded and hard to find. This makes sense considering the complexity, use of color and the sheer size of the many pieces I’ve looked at on my two-wheeled travels. 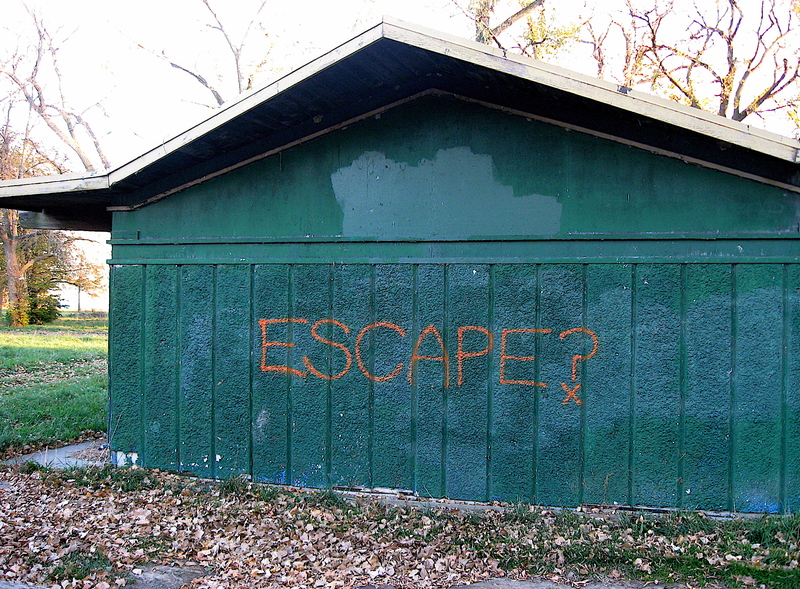 Another reason for the seclusion could be the legal issues involved should a writer get caught trespassing and putting up a large, time-consuming piece on private property. 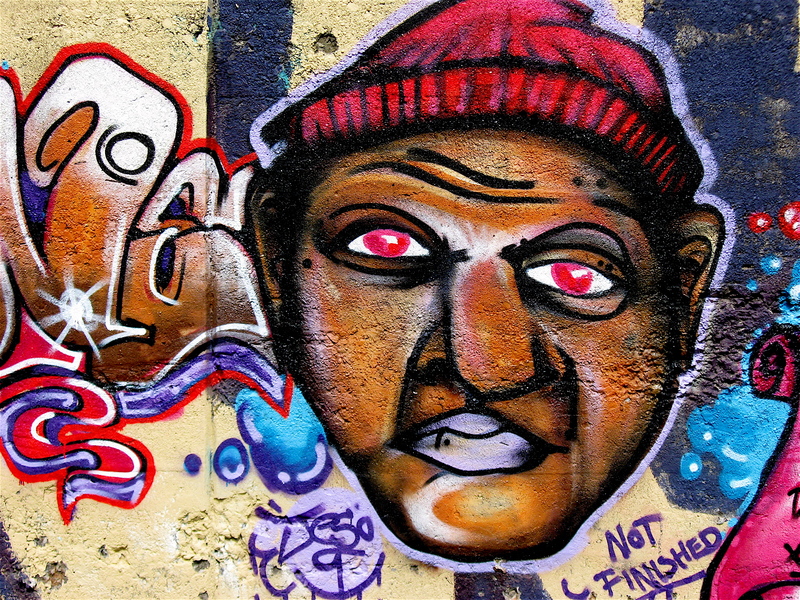 The array and design elements of the graffiti caricatures in Detroit are remarkable. Some have a sinister, creepy look, while others are mysterious in appearance. A few are subtle in design whereas others, with their bright colors and contorted facial features, reminded me of cartoon characters or a character found in a video game. Designs created with stencils (a quick way to put up somewhat complicated pieces) with their crisp, clean lines are part of the mix as well. I find them all quite interesting. Take a look. 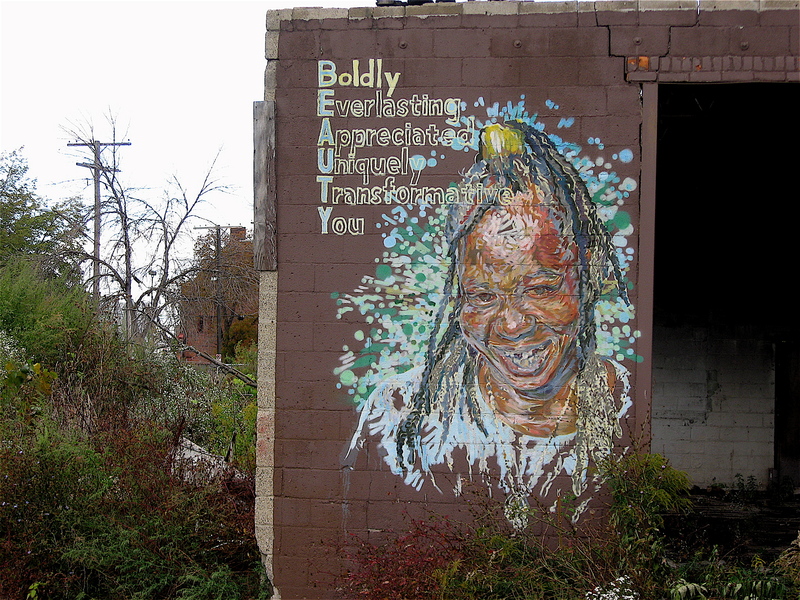 Like most U.S. cities, both large and small, Detroit has its share of stunning street art. 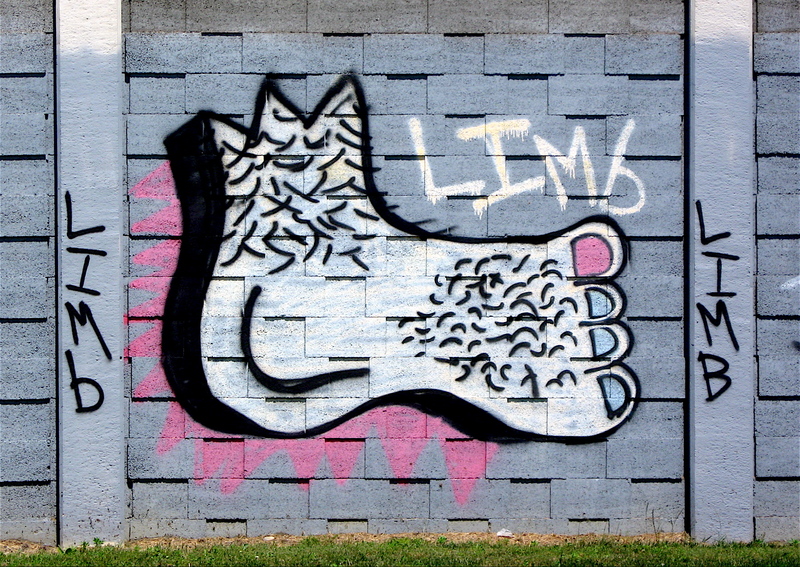 The art, known as graffiti, can be found everywhere throughout this vast city. On my two-wheeled travels across this old, worn out town, I’ve spotted it on every imaginable surface including the pavement I’ve ridden on. 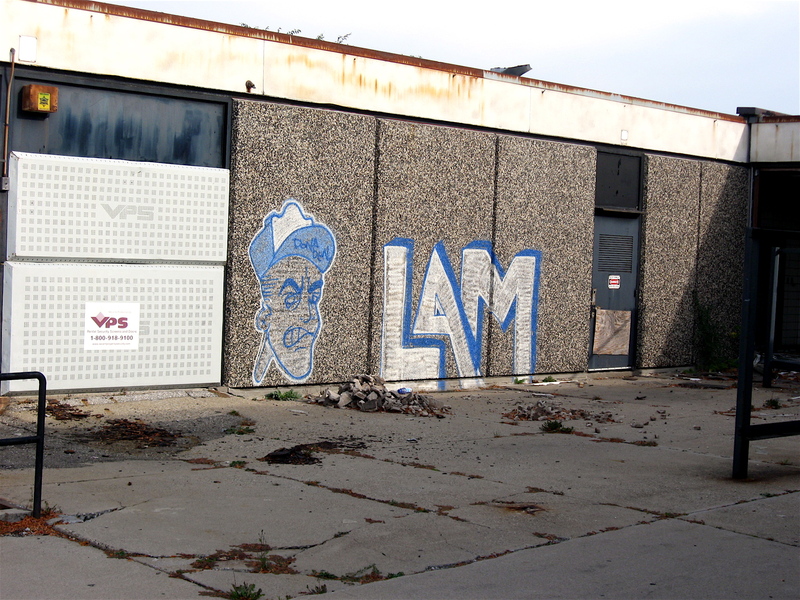 It’s under bridge overpasses, on the interior and exterior of abandoned factories as well as vacant retail storefronts. 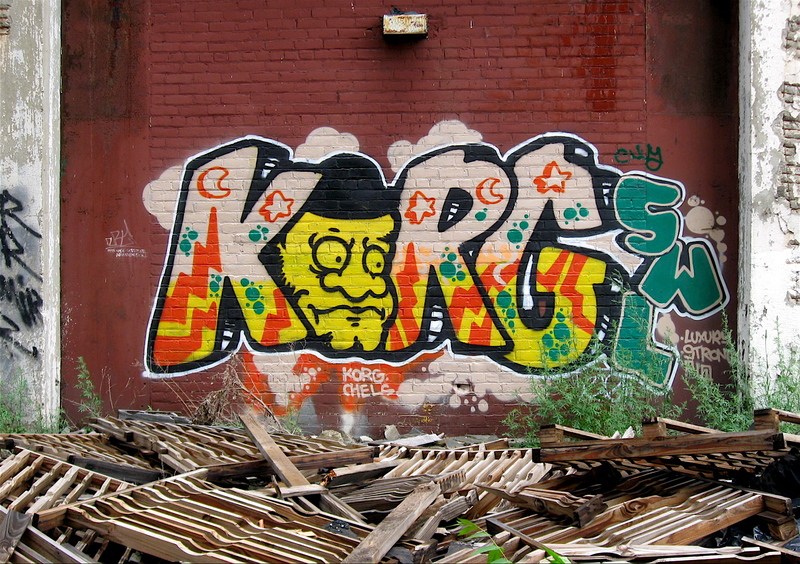 Active graffiti “writers” have used the flat, long walls of abandoned, boarded up school buildings and tall warehouses along railroad tracks as prime palettes for their remarkable pieces. I’ve also seen it on houses; trucks, stop signs, railroad boxcars and even on the rails the cars ride upon. 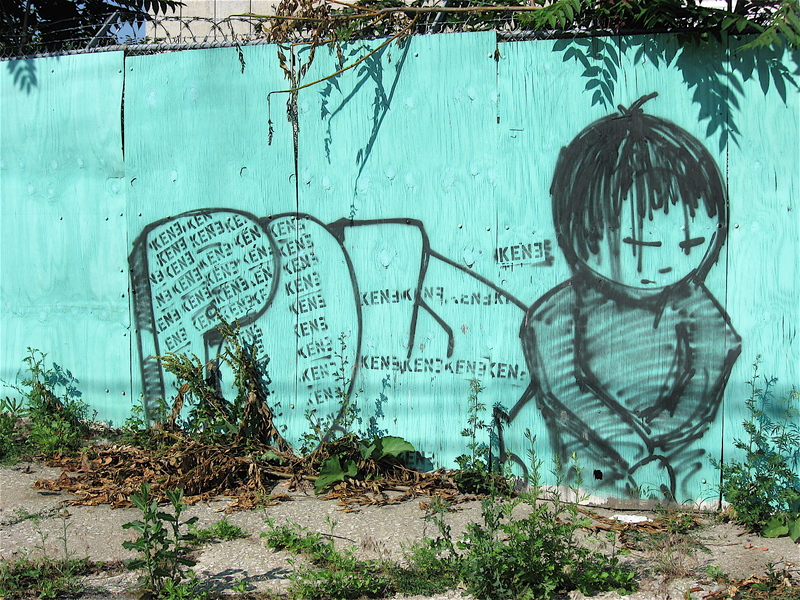 Almost no surface in Detroit is immune to a writer’s spray can. The variety and high quality of the pieces I’ve seen while biking in Detroit is incredible. There are distinct messages, monstrous looking characters, highly stylized names and masterpieces that appear to be three-dimensional in magnitude… way too much to cover in one blog entry. 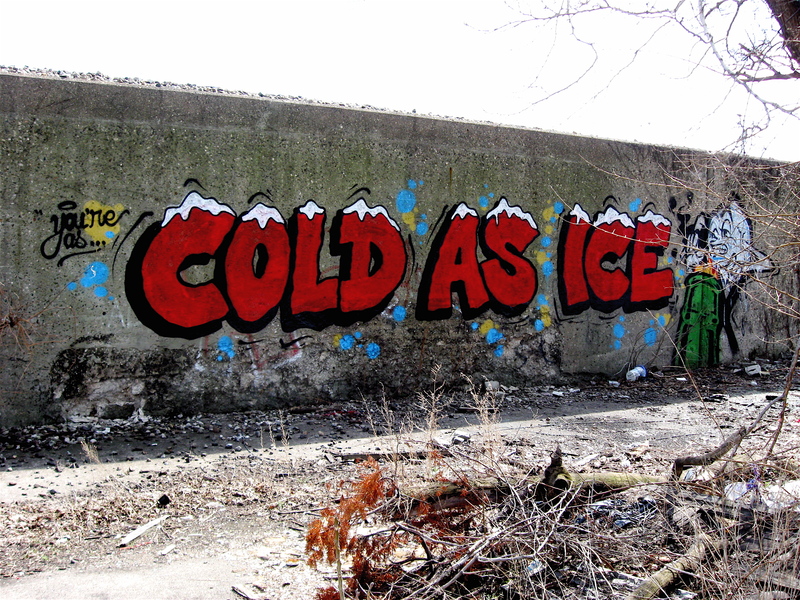 Since there are so many wall-writing styles represented and writers that have left their mark within the city limits, I’ve decided to post a series of “theme driven” entries exploring the multi-faceted graffiti art found in Detroit. 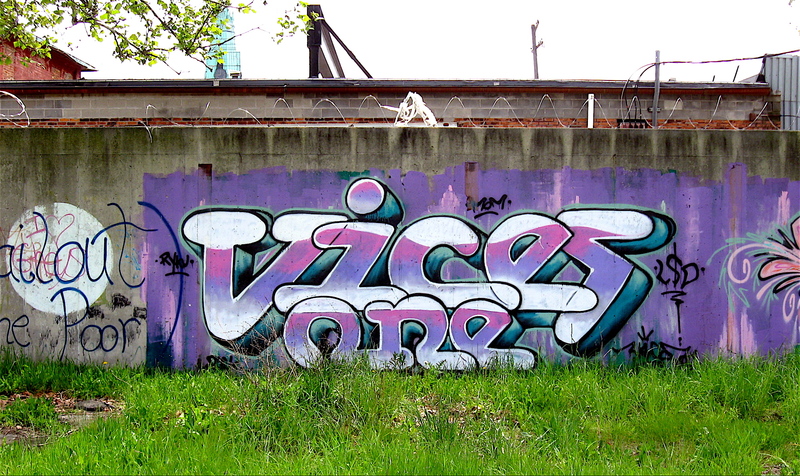 In this entry, the first in a series, I’ve provided a brief history of modern graffiti and showcased – through a series of photos – the environment in Detroit where much of it can be found. 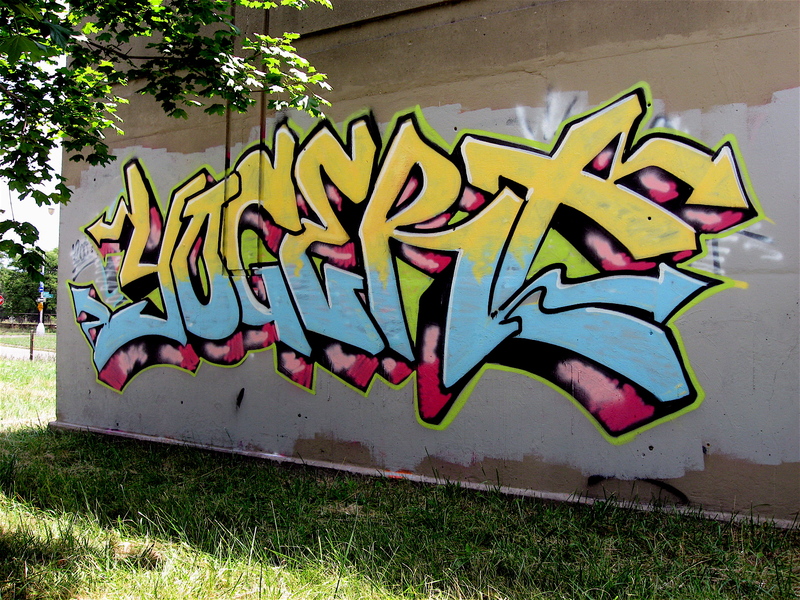 Graffiti has a long history in the United States, dating back to the 1920s. At that time a mythical symbol named “Bozo Texino” started appearing on railroad boxcars that wound their way across the country. 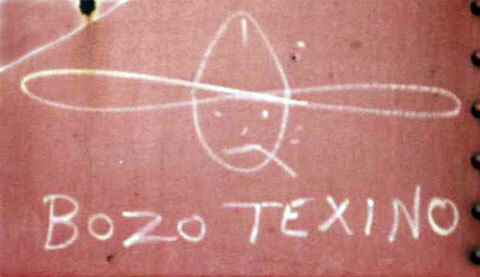 This simple drawing, which can be spotted on railroad cars even today, has become synonymous with “hobo graffiti”. Then along came WWII, and the phrase “Kilroy Was Here” suddenly appeared. It was accompanied by a distinct drawing, and it was spread around the world by American troops. 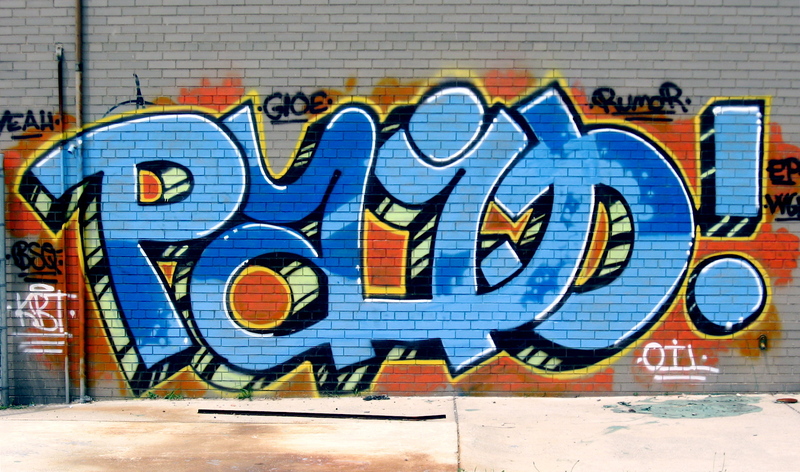 The design was very influential, and many graffiti writers use a similar version today. 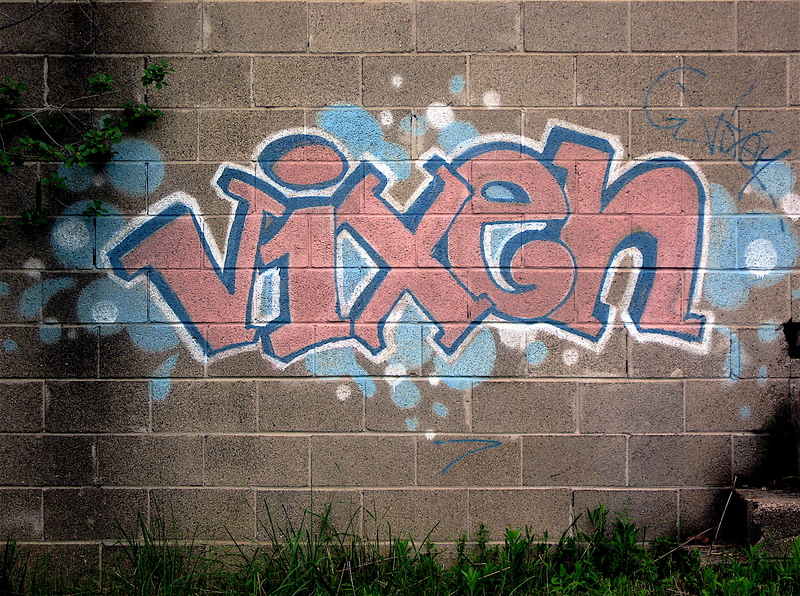 Modern, urban graffiti got its start in Philadelphia in 1967 by a street artist known as “Cornbread”, considered by many to be the “father of modern graffiti.” He “bombed” (to quickly and simply paint many surfaces in an area) the city with his stylized initials to gain the attention of a girl he liked. 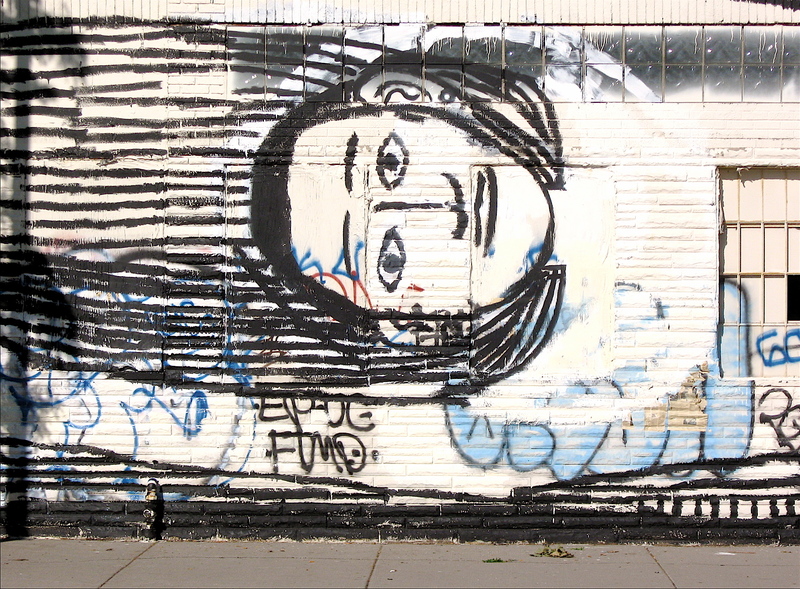 It’s unclear if he impressed the girl, but his efforts caught the eyes of the local media, and his work and fame spread to other American cities where budding graffiti artists began to emulate him. New York City in particular became a hot bed of writers shortly after Cornbread’s work appeared. This was because of the subway system and its vast reach across the city, which exposed their colorful work to millions. 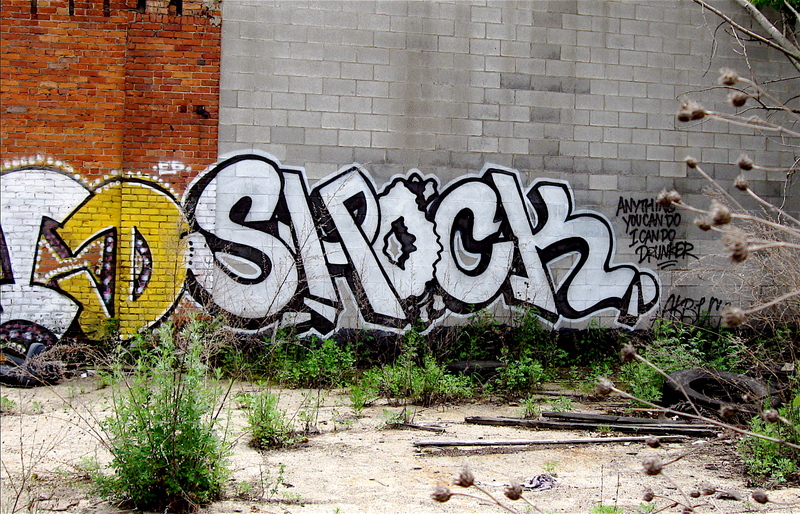 The new art form moved quickly to other urban centers across the country including Detroit, where it has spread like quicksilver, especially over the past few years. 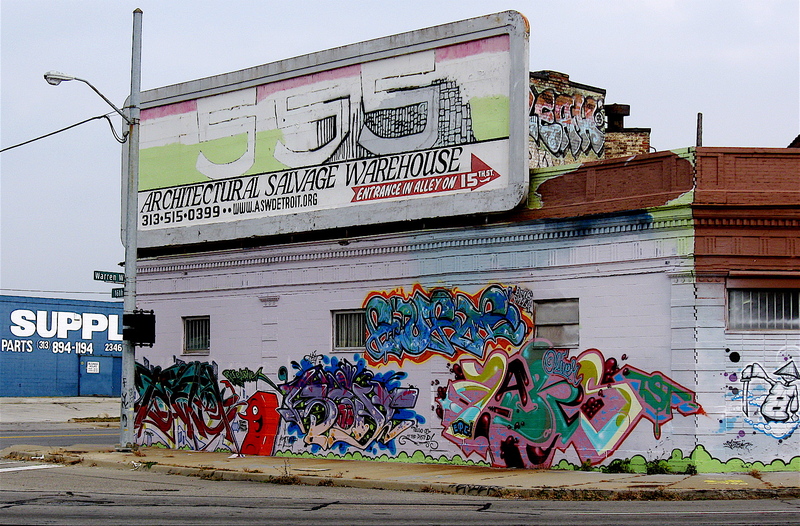 Detroit’s overabundance of vacant and derelict structures and its wide streets with multiple overpasses is prime real estate for graffiti writers. Take a look at some of the areas where it can be found. 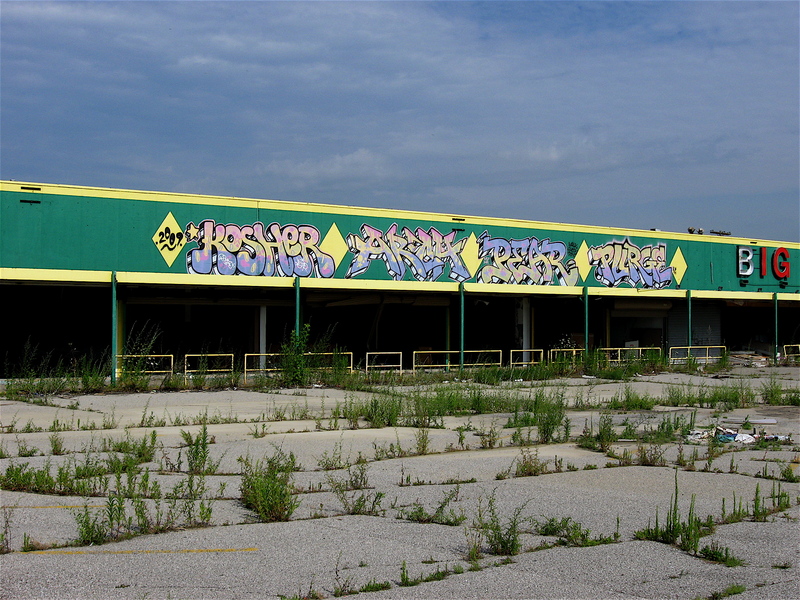 and on abandoned retail stores. and on the insides of empty warehouses. 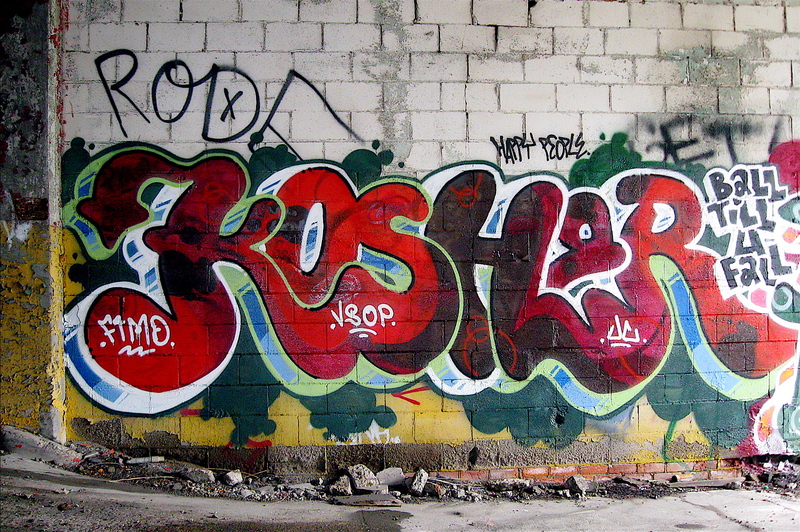 and on crumbling walls of abandoned factories. 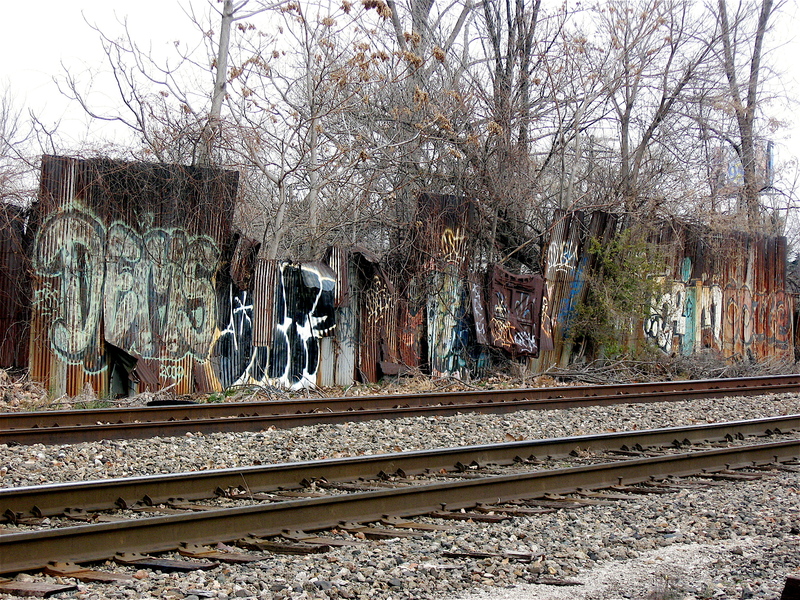 The Dequindre Cut is a hotbed (note the paint cans & art materials in the foreground). This richly covered building showcases some of the best. 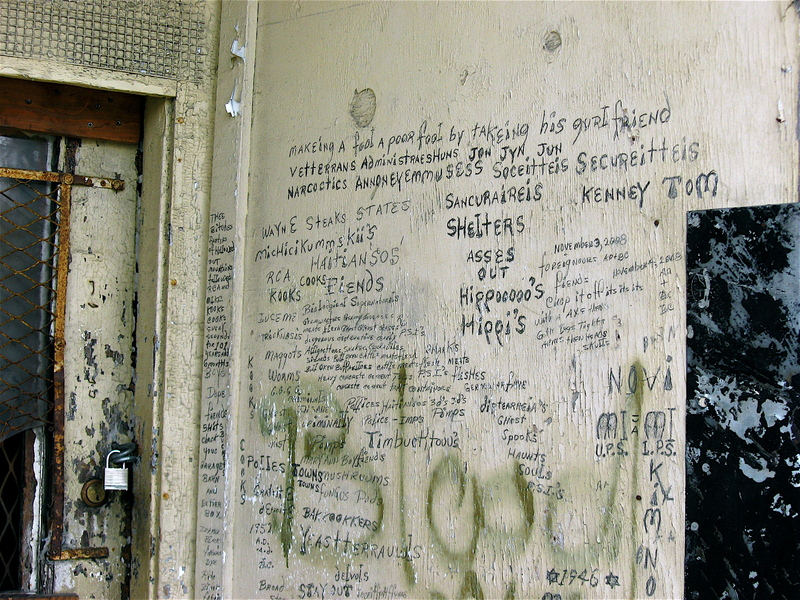 Note: Early last summer I joined four others on a private graffiti tour led by the city’s foremost authority on Detroit’s wall writings. Much of the history and terms used in this and future entries stem directly from that tour. Thanks again, Tom, for an insightful tour!